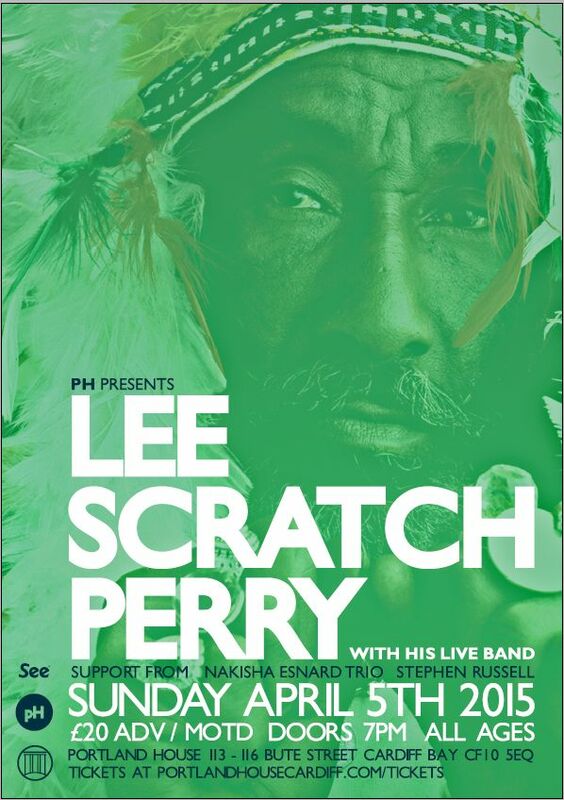 Lee ‘Scratch’ Perry and his Band in triumphant return to Cardiff. This Easter bank holiday marks the much anticipated return to the Welsh capital of reggae legend and lauded dub pioneer Lee ‘Scratch’ Perry at the former Banking Hall of Portland House. The show will be a salute to the equally long awaited return of established live gigs in the former music hub of Cardiff Bay following the closure of both the Coal Exchange and The Point. Known primarily for his innovative studio techniques and eccentric character, the ground breaking work he produced at the now infamous Black Ark Studio in Jamaica is what forged Perry’s reputation. That legend would be later solidified by his prolific releases with his group The Upsetters, coupled with projects by Bob Marley & the Wailers and in later years more contemporary acts such as Adrian Sherwood, Mad Professor and The Orb. No stranger to accolade, Perry won a Grammy in 2003 for his “Jamaican E.T.” album with later Grammy nominations in 2008 and 2010 for his “End of an American Dream” and “Revelation” albums. Rolling Stone, in 2010, listed Lee ‘Scratch’ Perry in their 100 Greatest Artists of All Time and can more recently boast immortalisation in one of the best selling video games of all time with a homage to Perry’s character as the DJ in the Blue Ark on Grand Theft Auto V.